The verification process of Skrill is about to change in a major way. 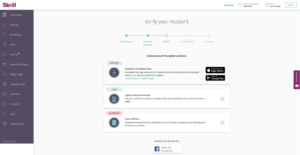 Starting on the 3rd of September, Skrill does no longer offer verification by email. All documents received by email will be ignored and all customers have to verify from within their accounts to get verified and remove all their limits. However, the good news is that all clients that register their Skrill accounts through eWallet-Optimizer can still verify their accounts without having to fund their accounts or use a webcam. This is great news as all other regular customers need to upload funds into their accounts which is hard or impossible for many due to missing deposit options. Open your Skrill account using this link or submit your existing account details. Upload the documents from within your account settings. Your account will be verified as fast as possible. Remember: You MUST use our signup link to be able to complete verification without having to fund your account. Otherwise this option is not available for you. The verification process will change for all customers, but regular customers will have an additional step which makes it more difficult to get verified. For a detailed guide about the full process, please check the our step-by-step guide below, but please keep in mind, only our members who use our signup link can enjoy this easier process. All regular customers will have an additional step. They have to deposit at least 10 EUR into their accounts to finish the verification process. Therefore, we highly recommend to apply to our eWallet-Optimizer Bonus Program to enjoy the faster and easier verification process as well. Besides that you will also earn a monthly bonus, we can help with lower VIP requirements and of course our personalized support at 365 days a year through email, Skype or Facebook. Our clients have a huge advantage compared to regular customers as they do not have to deposit funds into their accounts to get verified. Simply uploading the documents in your account is enough and they will also be handled with highest priority to make sure your accounts are fully functional as fast as possible. Let us guide you through the verification process for eWallet-Optimizer clients. If possible you can use your mobile phone or webcam which is the fastest way to verify your account. We know that not all of you are able to use a cam, so do not worry. Uploading the documents is also a fast and easy process and you will have a fully functional account within 1 day usually. Choose “Upload Photos” from the menu to move forward with the process. 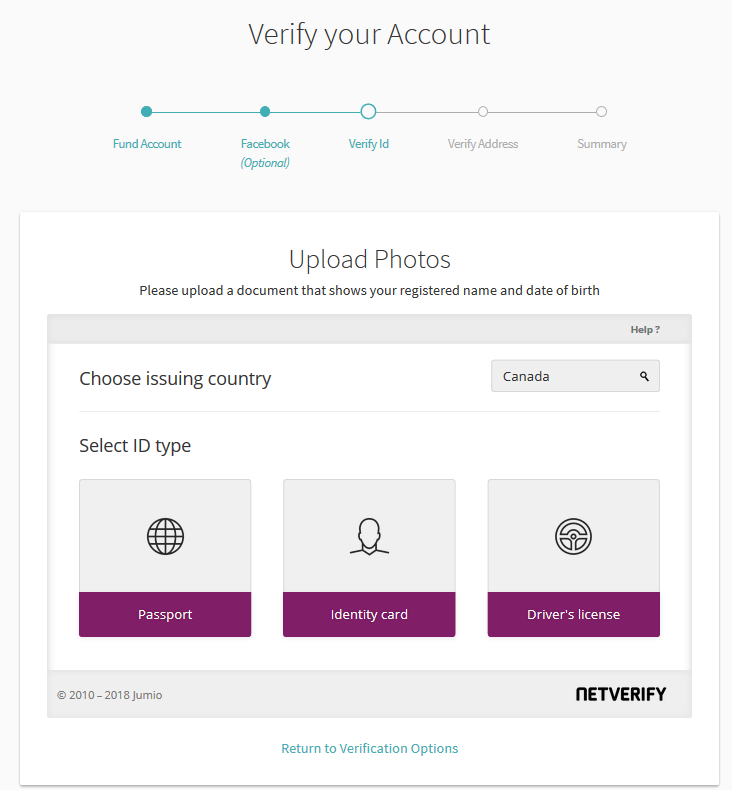 The next step is to choose your country of residence and select the ID verification document you would like to use. Allowed are passports, identity cards and driver’s licenses here. 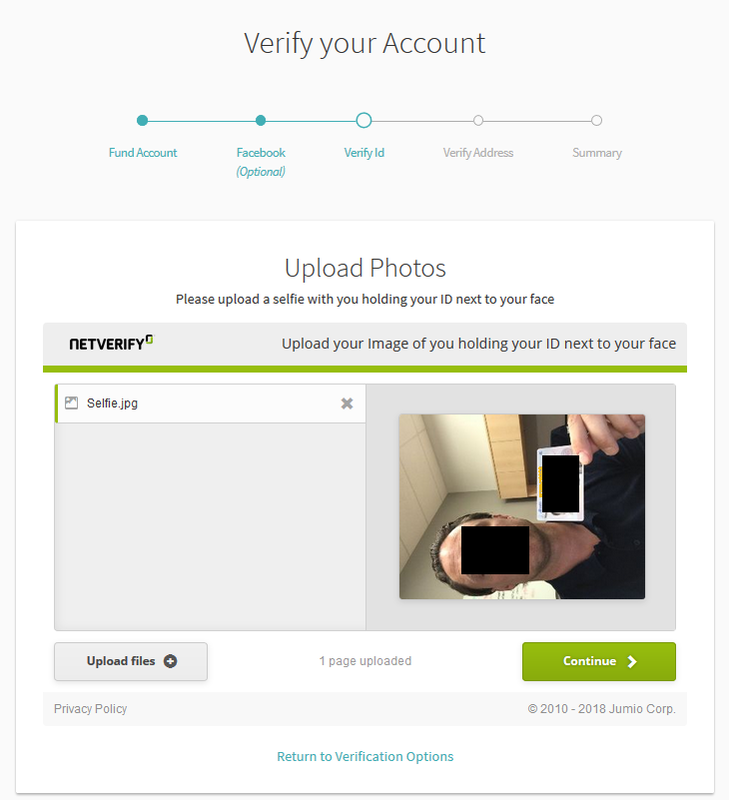 After uploading your ID document you now have to upload a selfie of your face holding your earlier provided ID document next to your face. Please make sure that all details are clear and legible. 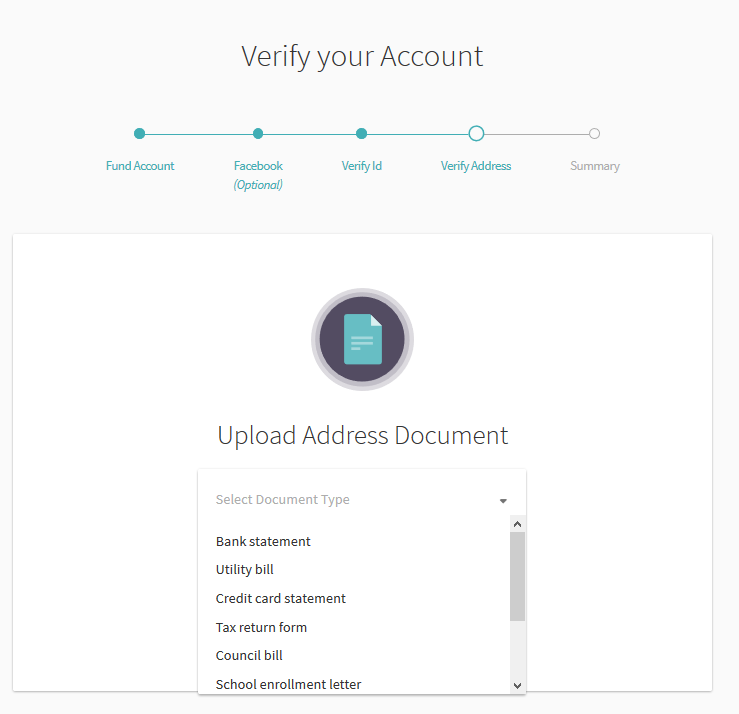 Now you have to verify your address and to do that you can choose between several documents. Just choose the one which is easiest for you to provide and upload it. Make sure you use recent document showing your full name and your address. 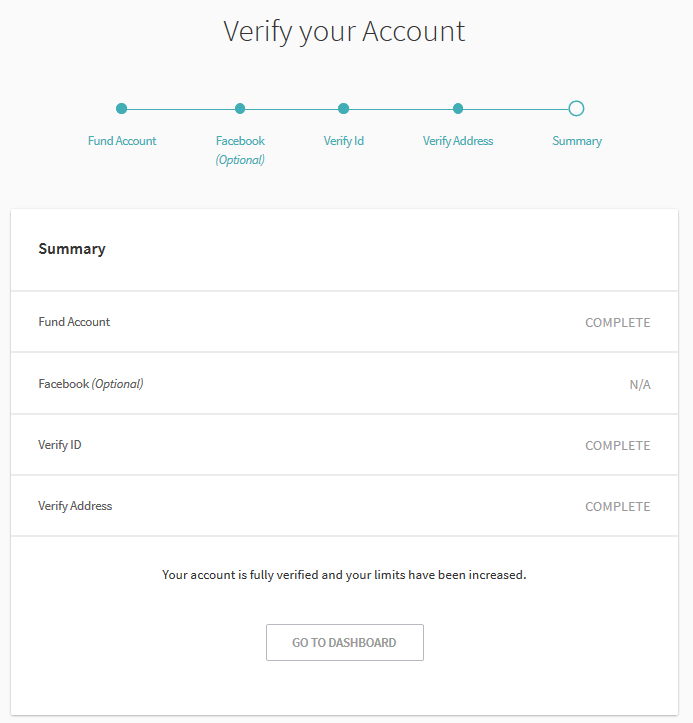 That’s it already and you now need to wait for Skrill to review your documents and verify your account which usually should happen within 1 day. Once all documents were accepted you can see the confirmation in your account and you will also receive a confirmation by email from Skrill. As you can see, you don’t have to upload any funds to your account. Just the documents are enough. Are there any changes for NETELLER? Currently there are no changes for NETELLER and the verification process via email will stay the same. However, of course we cannot guarantee that it will stay this way, but as soon as we have any further information from NETELLER we will let you know. We are also happy to help you with your NETELLER verification. Just make sure to apply to our free eWO bonus program to enjoy all our benefits like the silver VIP upgrade, lower fees, monthly bonuses and a fast-track verification service without webcam and no need to deposit. 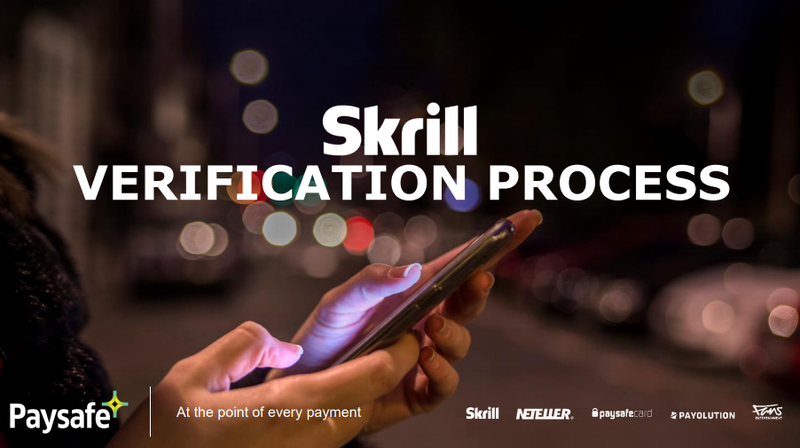 Please contact us if you have any further questions about the new Skrill verification process, Skrill or NETELLER in general or our free eWallet-Optimizer Bonus Program.